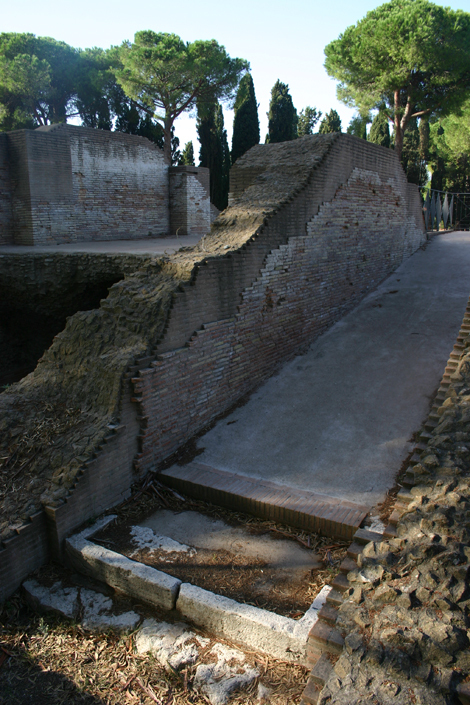 The survival of many standing buildings at Portus has meant that the site has long been the object of major programmes of conservation by the Soprintendenza per i Beni Archeologici di Ostia, and more recently by the Soprintendenza Speciale per i Beni Archeologici di Roma (Ostia), as part of a programme for making standing buildings safe and ensuring that the site can be visited by the general public. Their work is particularly evident in the substantial standing walls and vaults of the Grandi Magazzini di Settimio Severo, the Grandi Magazzini Traianei, the Antemurale and on the Monte Giulio, as well as in certain parts of the Palazzo Imperiale. Structures revealed by the Portus Project excavations are the current focus of a programme of restoration being undertaken by the Soprintendenza Speciale per I Beni Archeologici di Roma (Ostia), in consultation with the Portus Project.